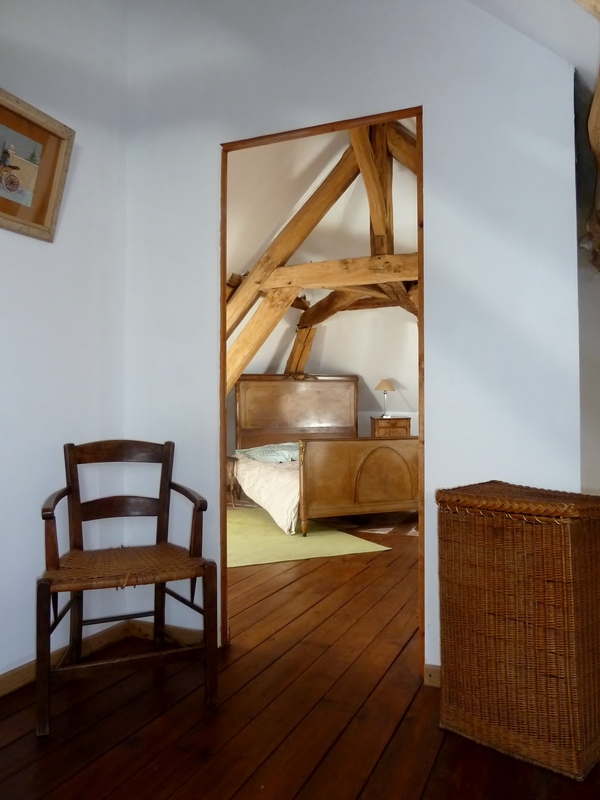 This is a fully restored 18th century holiday cottage which uses a shared pool with the owners. 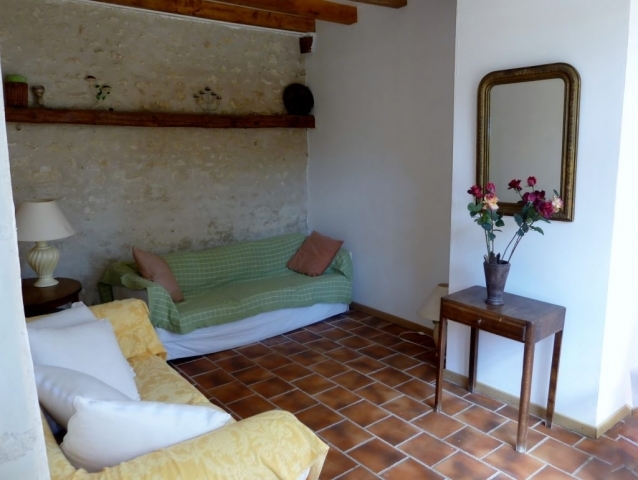 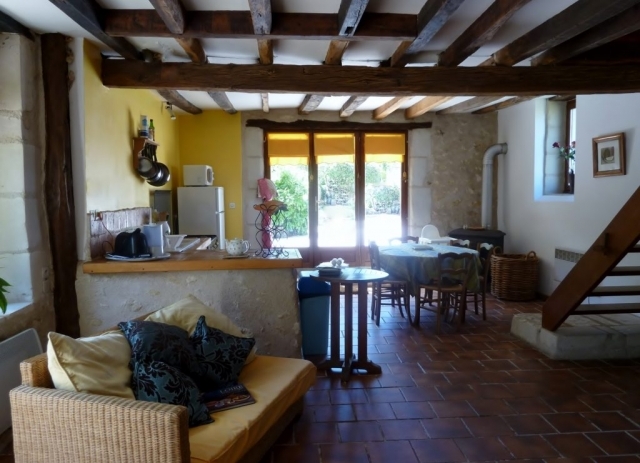 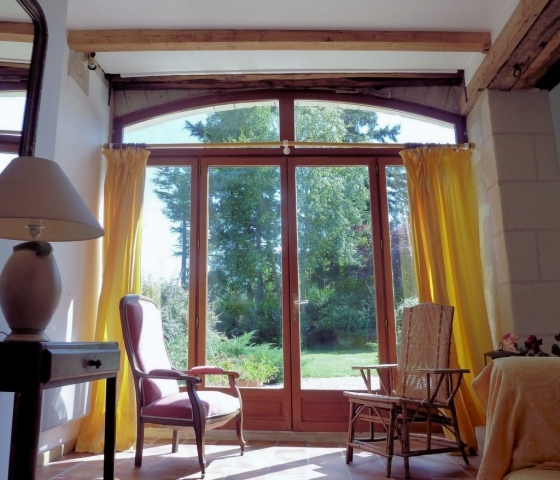 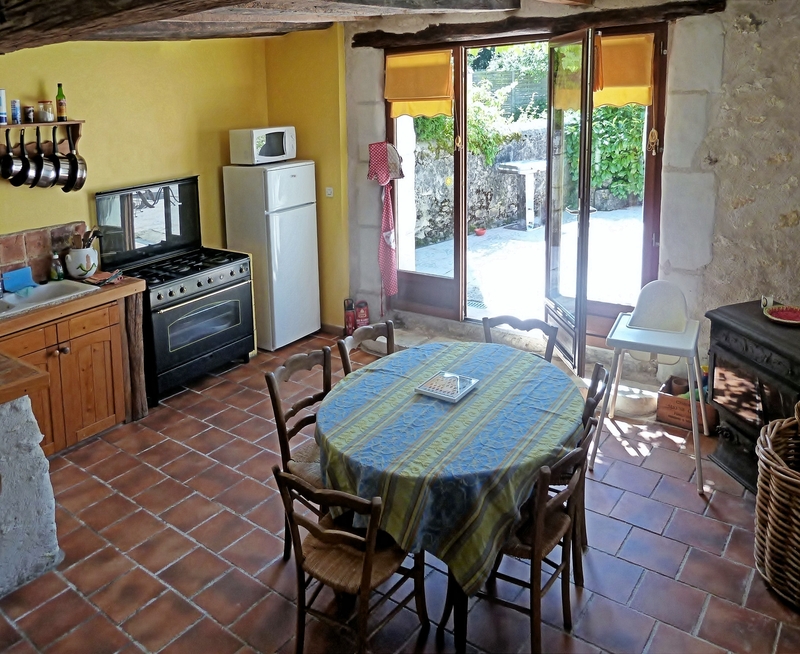 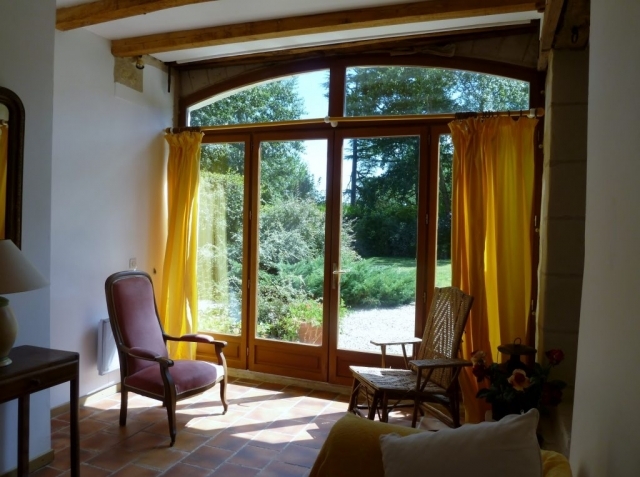 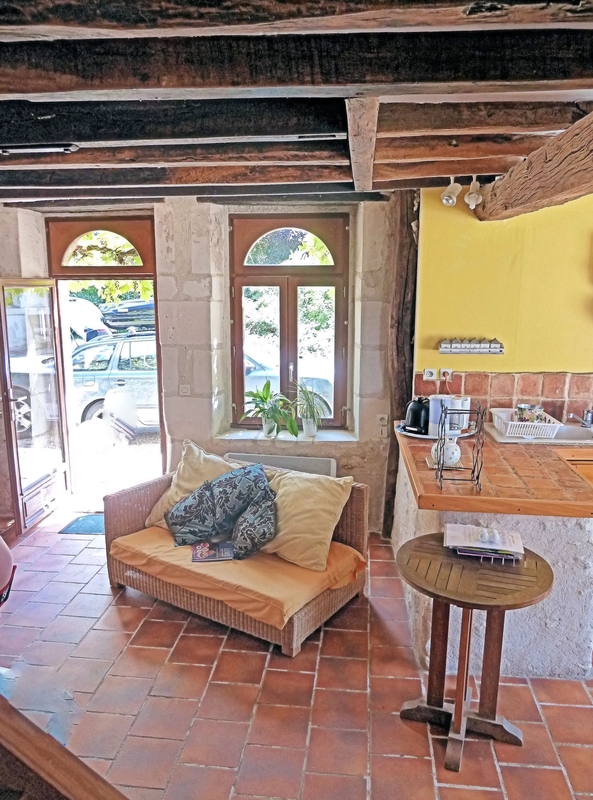 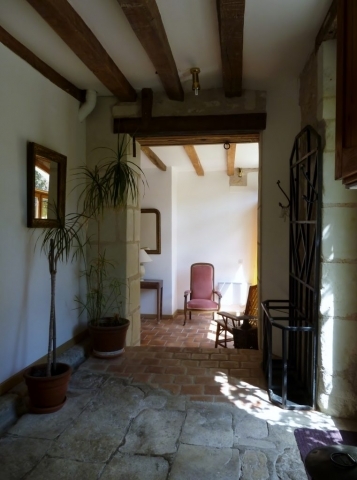 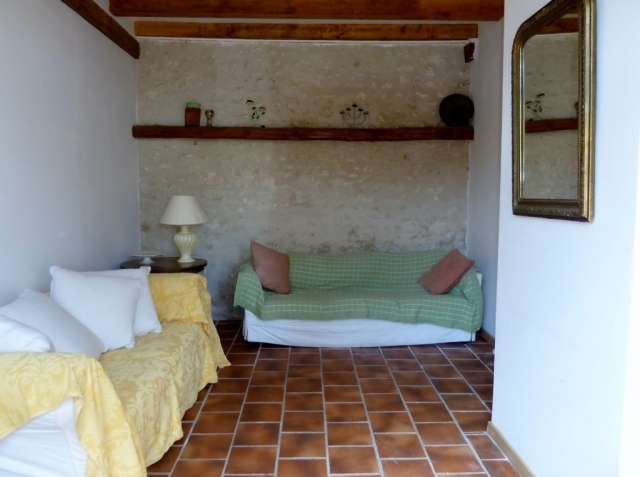 Set in restful countryside – with big gardens in front and its own private sun patio – “Les Vignes” was in fact the boulangerie of the hamlet. 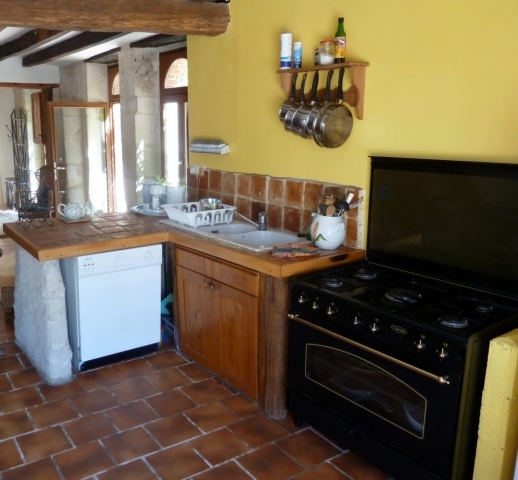 Now it is fully restored but retains lots of its original charm ….. the bread oven space is now the kitchen diner, the stable a great downstairs bathroom and the other stable now a comfy, sunny living room. 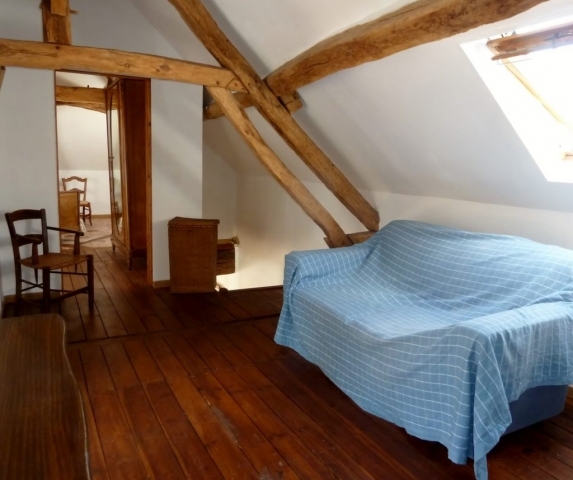 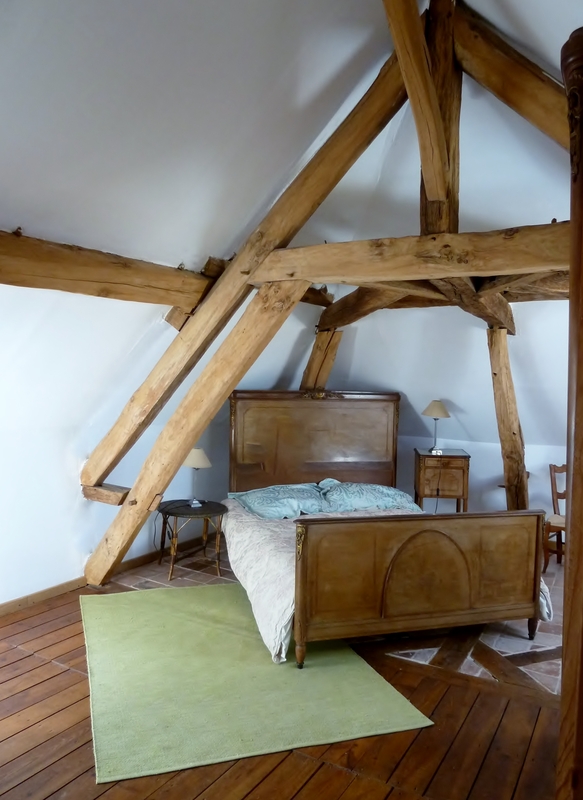 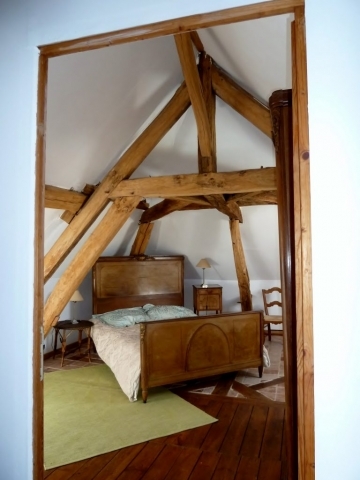 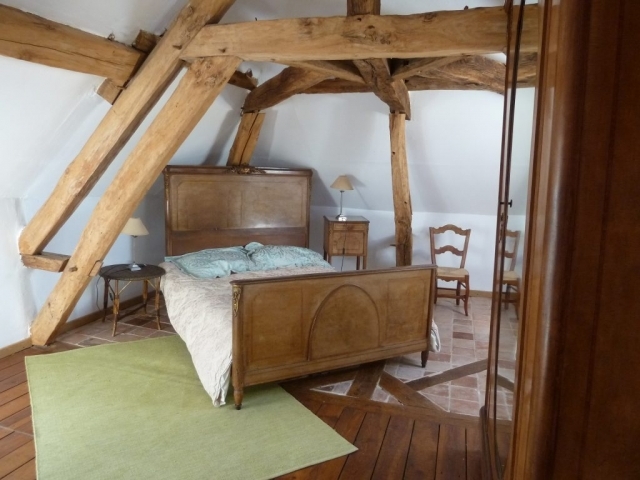 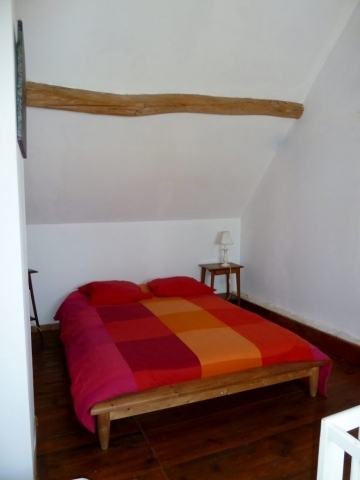 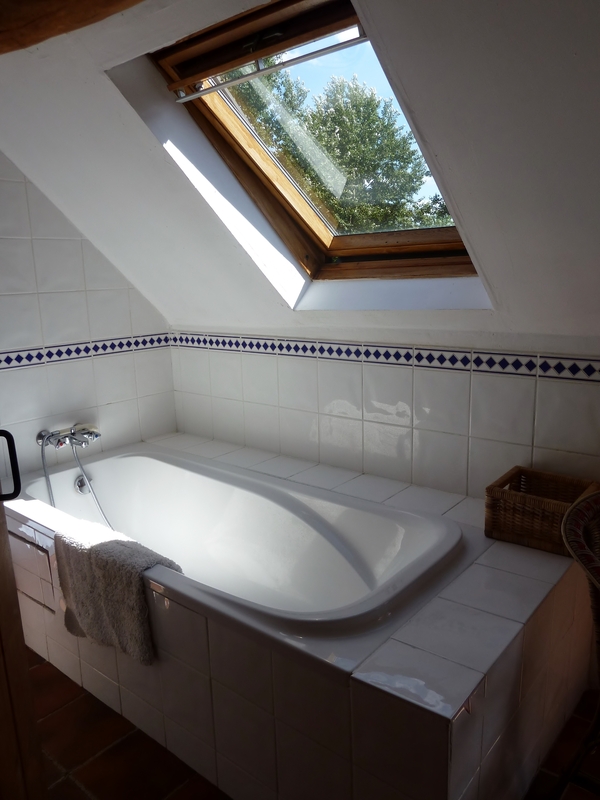 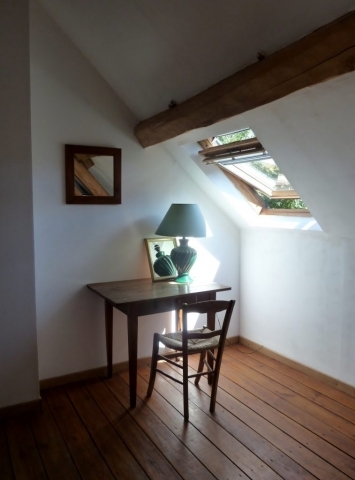 Upstairs are two bedrooms, complete with old oak ceiling beams and a bathroom, toilet with a bath. Here you can just chill out, sunbathe, eat at our restaurant ….. visit the Chateaux, drink up the culture and history which is such a part of Loire Valley life. Visit the vineyards and go wine tasting. There is a fabulous Zoo (Beauval) just 30 minutes away. Walk in the forest of Loches – or just hike or bike along the country roads.